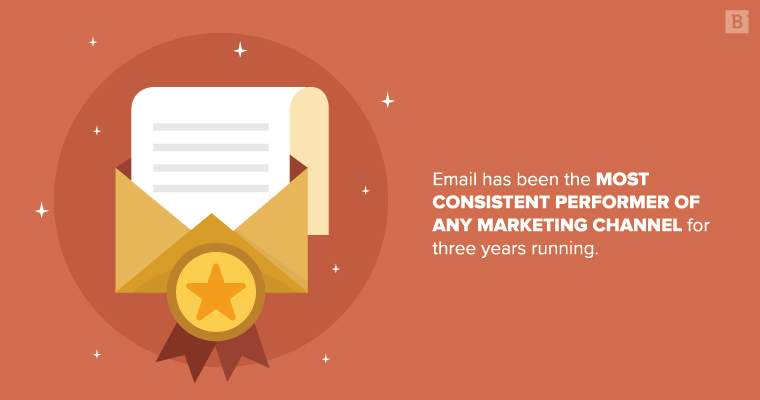 These statistics are predominantly positive, and leagues above every other channel, with the exception of SEO, which for three years has been email’s close second. Yes, content is still king. 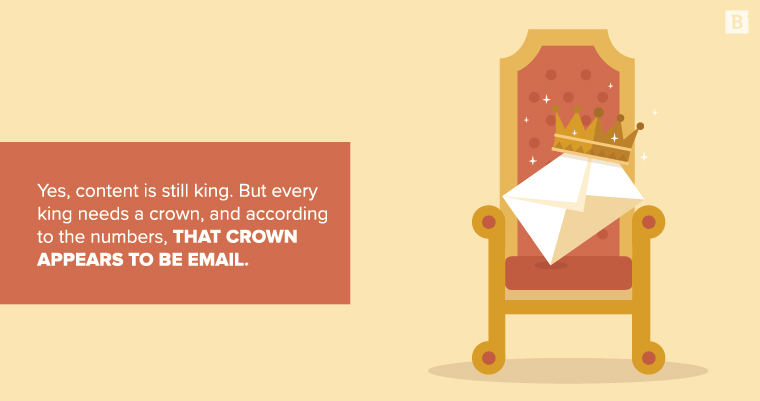 But every king needs a crown, and according to the numbers, that crown appears to be email. Nevertheless, getting ROI from email, and for that matter, measuring ROI, is hardly a cut-and-dry process. More importantly, businesses are on a never-ending question (or at least they should be) to discover new ways to optimize their email-marketing campaign and extract even more value from the clearly lucrative channel. So, without further fanfare for our beloved marketing channel, let’s dive into the nitty gritty. Open rate is undoubtedly the first metric that any email marketing campaign should be measured by, and there’s a simple reason for this. Every day, more than 100 billion are sent. That’s over 2.5 million emails per second. With that much noise to contend with, getting your target to open the email is half the battle. However, click-through rate is perhaps the more significant indicator of ROI. Whereas open rate refers to the number of recipients who opened a message, CTR identifies how many of those users clicked on a link in that email. (Note: This is not to be confused with conversion rate, which more broadly refers to successfully getting a user to perform a desired action; that could be click-through, but it could be something more subjective, such as providing additional information through an opt-in form). The good news is that the majority of in-house marketers are privy to the importance of open rates, CTR and conversions. The bad news, though, is an alarmingly low number of them are missing other key indicators of ROI. For example only 8 percent of in-house marketers are currently factoring in email inbox placement. This is very different than deliverability rate, which merely indicates the number of messages that reach the subscriber. Unlike deliverability rate, which counts messages that end up in spam and bulk folders as being successfully delivered, inbox placement distinguishes between messages that actually make it to the user’s inbox, and those that are automatically filtered to the trash or a spam folder, never to be seen. Marketers should be paying much closer attention to inbox placement so they can have a better idea of the audience they’re actually reaching, and the types of content that are resonating. Bounce rate: When a message fails to deliver because of a wrong email, server error, or when an email inbox is full or a message is sent to spam. List growth rate: The rate at which your email list is growing, not growing, or worse, diminishing. Everyone uses email, and they can check it at nearly any point in the day thanks to mobile devices. Email is targeted for personalization. Marketers can easily perform basic segmentation (industry, location, job function) but also advanced segmentation (purchase history, previous engagements, etc.). You’re always fishing in a smaller pond. Email is cost effective relative to many other channels. it’s ostensibly permission-based since these email addresses have been handed over to you. Not nearly enough marketers (20 percent) are making it a priority. B2B email lists need constant, ongoing replenishment. Over time, they organically shrink, for instance through employee turnover in your target audience. Sometimes you can lean on deliverability rate to help determine when certain emails have become more or less obsolete. At the very least, you might see the shortage coming. But even then, the best defense against email-list depletion is proactive email capture. That requires, as you probably already know, compelling site content that will leave top-of-funnel leads wanting more. Once you have that bargaining chip in place, you can offer deeper-funnel collateral such as white papers and eBooks in exchange for contact information. Formally purchasing email lists is also an option, but realistically, your inbound marketing will almost always attract the best leads. Who is your audience, and what time of day will they be most amenable to opening and clicking through your emails? The strategic timing of your emails will vary depending on who you’re trying to reach, but consider this food for thought: According to Experian, Tuesday has the highest open rate for emails of any other day of the week. The best time for views is the early afternoon (so maybe that’s when you send your updates that require no action). The best time for CTR and conversions, though, is the evening, once the day has wound down, and your audience might take more liberties with how they divide their attention. Again, this is not a hard-and-fast rule, so don’t start barraging your leads with emails on Tuesday night. Rather, it’s merely an example of the types of strategic factors you should be considering when optimizing your email marketing campaigns. Email is such a consistently direct line to your target audience because it’s accessible from so many different devices. This is important to understand for several reasons, the first and most obvious of which is mobile optimization. The content presentation of every email – be it a newsletter or a basic welcome message at the beginning of a drip campaign – needs to look and feel like it was made for whatever device the user is viewing it on. Responsive design, as this is known, is probably one of the most important aspects of content and site creation in general. Other basic pointers: Avoid large images, multi-column content and anything overly text-heavy. Use buttons, and make sure it is abundantly clear to the user what is clickable and what is not. Newsletters aren’t necessarily the swiftest path to email ROI, but from our experience, they’re the surest. And there’s a simple reason for this: They represent an opportunity to disarm your audience by sharing insightful, interesting content that they will actually find useful in their own lives – professional or personal. Half the battle of email marketing is just getting the user to take you seriously. If you can do that, then you can start valuable conversations at any point in the sales funnel. Also, a good newsletter builds brand awareness and adds credibility to your expertise – and not just in the minds of your current recipients. Ideally, you want to create something that will leave your target audience recommending your content to other people. Unsure of what makes a good newsletter? We have plenty to say on the issue. If your newsletter is doing its job, your target audience will more likely open your emails. But that doesn’t guarantee they’ll click through or convert. For an email recipient to take any sort of action that leads them deeper into the funnel, the content needs to be personalized to that individual’s current placement in the sales cycle. And we get it. Personalization is one of the hardest nuts to crack, but it’s nut-cracking season. Create customer personas: Build your segmentation – basic and advanced – around these personas. At the very least, this can help you hone in on your recipients’ interests, and develop and continually perfect a voice that resonates. Set up auto-generated behavior emails: Getting this part right may require a bit of data analysis on your end. But some correlations are pretty straightforward. If, for instance, a recipient downloads your eBook about mortars, it’s a safe bet they’ll be interested in the companion piece about pestles. Don’t waste any time sending that over. Just ask: Every now and again send out a quick survey – maybe bake it into your newsletter – about the types of content your audience wants to see. It’s amazing what a simple question can reveal. Use first names: “Dear reader” doesn’t cut it – not in an age when even Siri calls you by your name. So where does that leave us in 2018? With only one thing left to do: Get cracking on your new email marketing campaign. As far as we and everybody else knows, it’s still the most effective marketing channel – and by most measures, it had a strong 2017. But that doesn’t mean you can’t do more with it. If you ask us, we think 2018 will shape up to be email marketing’s biggest year yet.